Our feet have been in constant motion since the day we were born. Just ask your mom and she’ll tell you those little fellas wouldn’t sit still. But as we grow up, our professions, lifestyles and other factors all contribute negatively to our feet’s health. 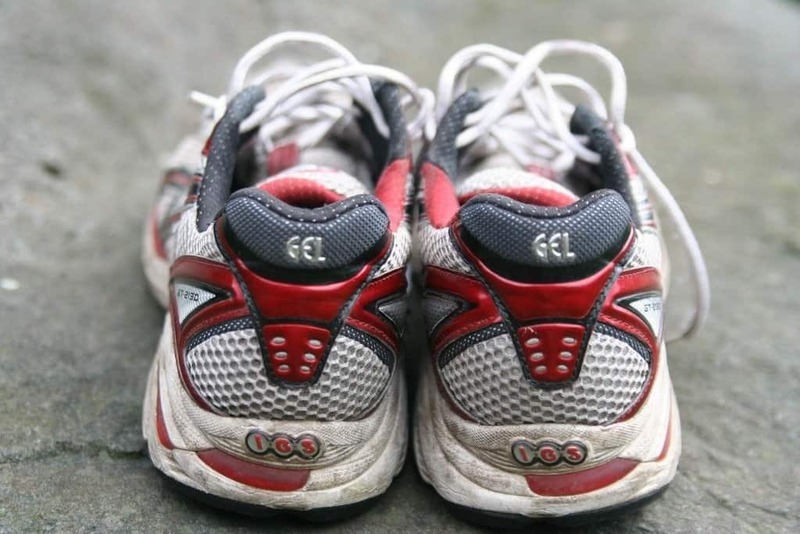 Abusing your feet for years leads to painful conditions such as plantar fasciitis. But don’t worry; there are plenty of solutions available. The most efficient and affordable solution comes in the form of foot rollers that trigger points in your feet to reduce inflammation, combat stress, offer pain relief and relax tight muscles and ligaments. 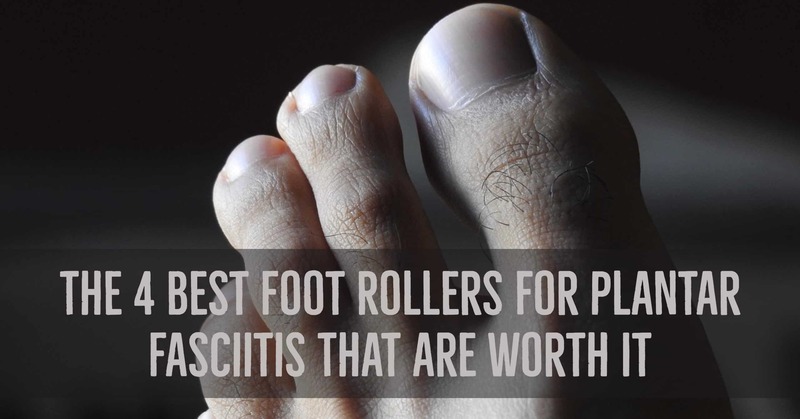 If you’re finally ready to give your bruised, flat feet a breather, then check out the 4 best foot rollers for Plantar Fasciitis that are worth it. Introducing the world’s top selling foot roller, the TriggerPoint NANO Foot Roller is engineered to increase flexibility and relieve all those minor pains and muscle aches associated with plantar fasciitis. The roller is comprised of EVA foam and it gives users that disciplined approach towards blood circulation and rerouting nutrients to the tendons, muscles, ligaments, and bones. This is all made possible by a dense three-dimensional foam surface. In layman's terns, it is the most effective out of all four listed. The Nano roller is light and compact enough to take with you anywhere you need to go. This includes the office, gym, workout center, in your purse, etc. Just don’t use the roller while driving. What makes the TriggerPoint NANO Foot Roller stand out is the fact that it actually acts as an independent roller and can be moved with your foot. To gain maximum benefits, use the Nano roller while sitting on a chair, sofa or desk and let the stimulating massage begin. Similarly, people suffering from painful wrists as a result of Carpal Tunnel can use the roller on their arms and hands too. When it comes to all-round pain relief, you just can’t beat the TriggerPoint NANO Foot Roller for its price, quality, design, effectiveness, aesthetics, and durability. Here’s another clever little bugger that is definitely worth every penny. Without question one of the most affordable units on the market today, the Carnation Footcare Pediroller deserves all the hype and praise it’s been getting lately. It just goes to show you that you don’t have to cough up an arm and a leg (pun intended) to get a quality foot roller. But what exactly makes this roller worth it? Let’ dig a little deeper into the construction. Carnation PediRoller - Helps relieve heel and arch pain. Immediate Relief - For common problems in your feet or arch. The Footcare Pediroller from Carnation boasts of a well-thought out design that is both functional and eye-catching from every angle. But the aesthetics are not just eye-candy. This roller incorporates ridges that are highly efficient at improving circulation, offering relief for arch pain, plantar fasciitis, tired feet and heel spurs. But that’s not even the best part. This bad boy actually allows you to freeze it for even more firmness and relief depending on how severe your pain is. The manufacturer is also thoughtful enough to include a resource leaflet in the package that outlines six of the most highly podiatrist recommended feet exercises. The only downside to the Pediroller is its comparatively smaller size that is not suitable for people with larger, wider feet. Are you a runner or participant in any physical competitions? What about the outdoors; do you enjoy regular exercise and outdoor activities? If yes, then I’m sure you’re no stranger to foot sores and aches. After a brutal and intense day working out, you need to recharge and rejuvenate your feet to keep them in tip top condition. Without proper care and maintenance, you won’t be making much use of your feet for longer. Introducing the sportsman’s best friend, the Lockeroom Footeez Foot Roller is the ideal solution for a barrage of foot issues. This handy little device is meant to help people suffering from lower limb muscular issues straight from the convenience of their own homes. Whether it's plantar fasciitis, chronic knee pain, tight calves or painful arches, the Lockeroom Footeez Foot Roller will offer relief as soon as you start the massage. There were a few features that we really loved on this unit. For starters, the concave surface and generously ribbed beads actually work in tandem to increase maximum area of skin contact. There’s also a resourceful chart that outlines symptoms of common foot issues. So while this unit might be a bit expensive, it’s definitely worth every penny. If you’re looking for a roller that goes the extra mile in terms of size, functionality, and performance, then the Sekmet Wooden Roller Foot Massager is your new best friend. This larger, dual massager combines a total of 10 individual rollers on both sides that allow you to work on both feet at the same time. The roller not only works for people with plantar fasciitis, but it also rejuvenates the feet after dancing, running, walking, jogging, cycling or any other activity. Dual Massager And Roller - Ten Rollers For Massaging Both Feet Simultaneously, Special Two Rollers With Wooden Spikes For Intense Massage. Applicable And Portable - Perfect For Feet Of All Sizes And Portable For Carry To Use At Home, Office, Outdoor, Or During travel. The 10 rollers massage deep into the skin for a relaxing your feet at the reflexology acupoints. Not only dos this encourage better blood circulation, but it also comes with 2 different roller hubs for when you need to alternate between a spiky treatment and a smooth roll. The Wooden Roller Foot Massager from Sekmet boast of edges made of theacae; a durable wood that will not crack or decay quickly. However, this doesn’t mean that you should stand on the unit. Your full weight alone could break the unit into smithereens. Similarly, freezing or heating wood is not a good idea; it might get warped. Just sit back and enjoy the deep, calming and relaxing massage. What Makes These Foot Rollers the Best for Plantar Fasciitis? Anyone who’s not new to our site knows that we take all measures and precaution to give our customers only the best. It takes us hundreds of hours of research as well as going through dozens of products with a fine tooth comb before any of them can make it to our list. Aside from being popular all around the globe, we chose the above foot rollers because their quality and performance netted them an incredible 5 out of 5 stars on Amazon. In fact, some of them could have gotten more than 5 stars if it was possible. It’s safe to say that you’ll be an entirely satisfied customer after trying any one of the above foot rollers. This link here explains how foot rollers help relieve plantar fasciitis. Before we start with the benefits, it helps if you know how to use a foot roller the right way. This video below shows you how to do it all in a fun and creative way. Great, let’s dive right into the benefits now, shall we? A great foot roller can be extremely helpful in enhancing and promoting circulation to the lower extremities. This especially applies to people who live sedentary lifestyles as well as those who hardly get any exercises. Nothing rejuvenates your feet like a rush of nourishing blood to the muscles, bones, tendons, ligaments, and tissues. This is actually the primary purpose of foot rollers. Routine use of these rollers to massage your feet can actually help your joints alleviate pain and aid the foot in recovery after injuries. Typically, rollers work by relieving tension buildup in the ligaments, muscles, tendons and other areas of the foot. For athletes, regular massages help the fool remain limber and minimize cases of injury. It’s general knowledge that feet are packed with a high concentration of acu-sensors that transmit to every single body part. Foot rollers activate the positive effects of reflexology in various parts of your body; including the brain that deals with stress. When it comes to the construction of foot rollers, there’s a broad range of materials used in making them. These include rubber, wood, and foam that all have different functions and performance levels. Rubber foot rollers are quite supple and offer high slip resistance features as well as a lighter feel on the pressure than wood. Wooden rollers slip and slide much easier than rubber or foam and have the highest pressure return of them all. The great thing about rubber and foam is that they can be heated or frozen for more comfort and relief. Like all other products, foot rollers also come with specifications for certain conditions. While one type might excel at offering relief for plantar fasciitis, others are better at curing tight calves or relieving knee and joint pain. So make sure you know what the foot roller actually does before buying to make sure you get the best match. As always, you can’t spend what you don’t have. Fortunately, foot rollers come in a broad range of designs and prices. If you’re just looking for subtle relief at home, then a cheaper model will do just fine. But if you’re a pro athlete looking for relief after hours of training, then don’t be too stingy; it is in your best interests after all, right? There you have it; all you need to know about foot rollers for plantar fasciitis as well as how to find the perfect one. Once you get your roller, it’s important to observe cleanliness and maintenance practices. A dirty roller only increases the risk of foot infection and disease. It is highly recommended that you clean your roller using disinfectant spray on plastic, wood and rubber rollers to keep them clean. Clean the roller regularly and it’ll treat you right all the way. And if you’re short on cash and still want to enjoy the benefits of foot rollers, then check out how our DIY champ made his own roller here:.